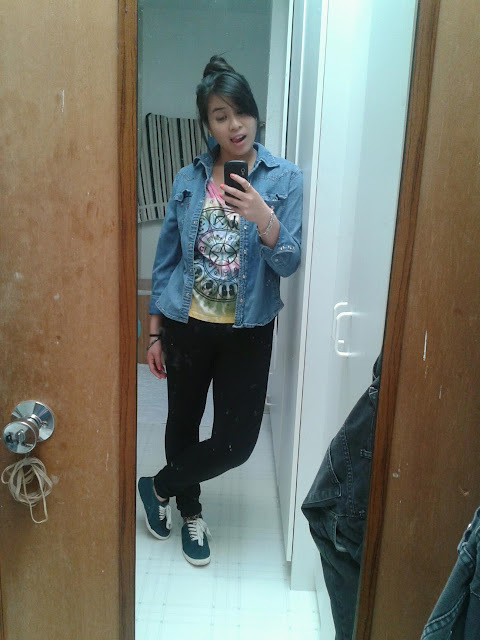 I love this shirt I got a few months ago on Urban Outfitters. First its a light tie dye color which reminds me of my childhood attempts to tie dye my own shirts. 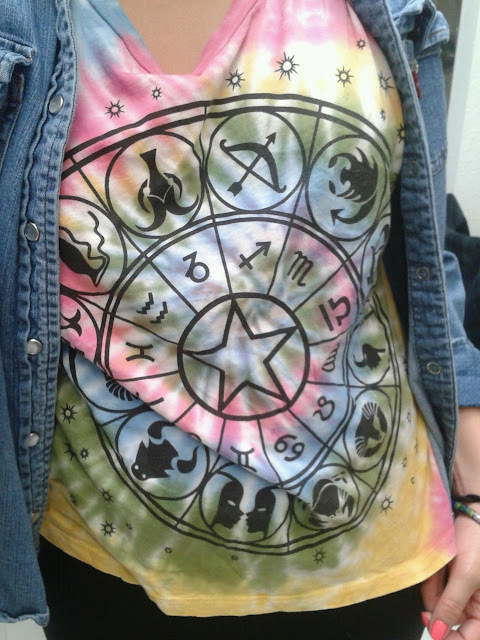 Second, it has the zodiac symbols on it portrayed in a circular chart. 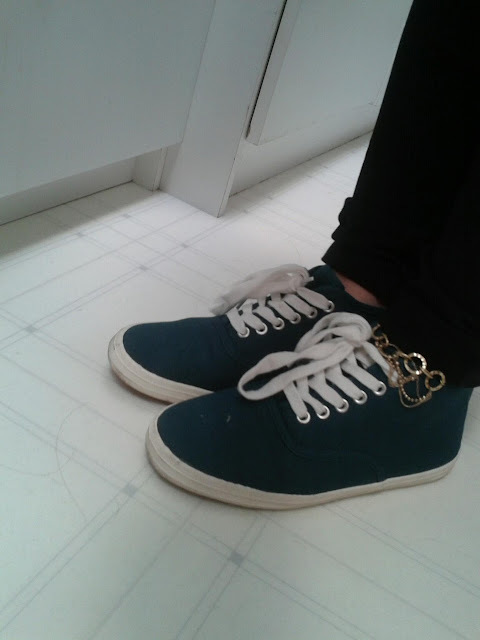 I threw on my old turquoise sneakers from Forever 21 and had my anklet from Jewelmint.com just hanging around. 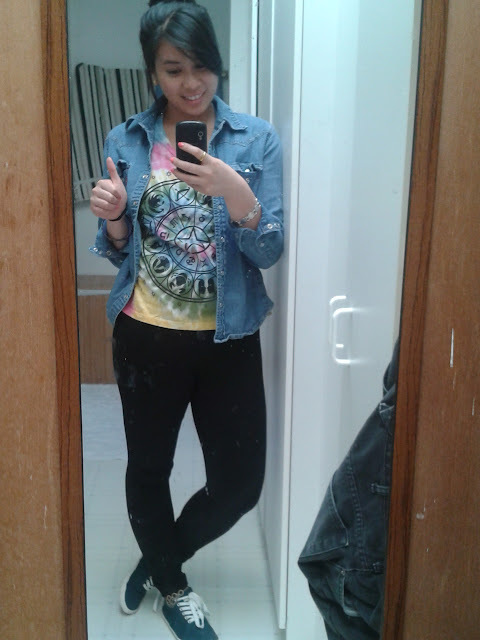 I wore this with my ever so comfy J.Crew pixie pants and I was ready to go for a 2hour + movie. I think when watching a movie, you should dress comfortably, especially if its going to be a longer one.